Accountability is an aspect of justice: it invokes the expectation that institutions will understand and respect the needs of all the people who are affected by their actions, and will operate in a way thatpromotes equity and inclusion. 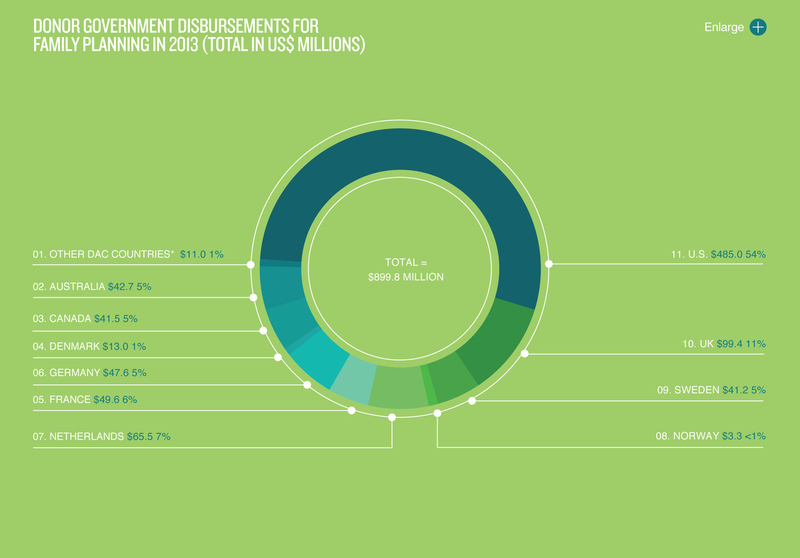 FP2020 will promote accountability by tracking progress on existing and new commitments. There has been a surge of investment as a result of FP2020 to establish mechanisms to monitor the implementation of commitments and elevate civil society voices in debates to shape country-level policies and programs. While it did not have the infrastructure in place to do so this year, FP2020 does intend to track financial, policy, and service delivery commitments going forward. FP2020’s methodology will be informed by feedback from countries, lessons learned from the Partnership for Maternal, Newborn and Child Health’s monitoring of commitments to the Global Strategy, and expertise from the Commission on Information and Accountability and the independent Expert Review Group. This report includes preliminary data on donor expenditures. 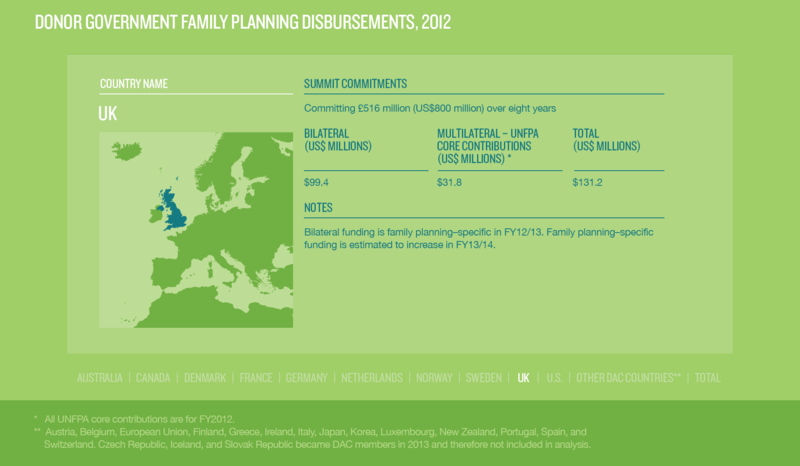 Early results demonstrate that many donor governments have already budgeted increased levels of funding for family planning in 2013, and indicate progress toward fulfilling financial commitments made at the London Summit on Family Planning. These figures (see chart on page 31 of the full report. Download now.) are provisional and for indicative purposes only. 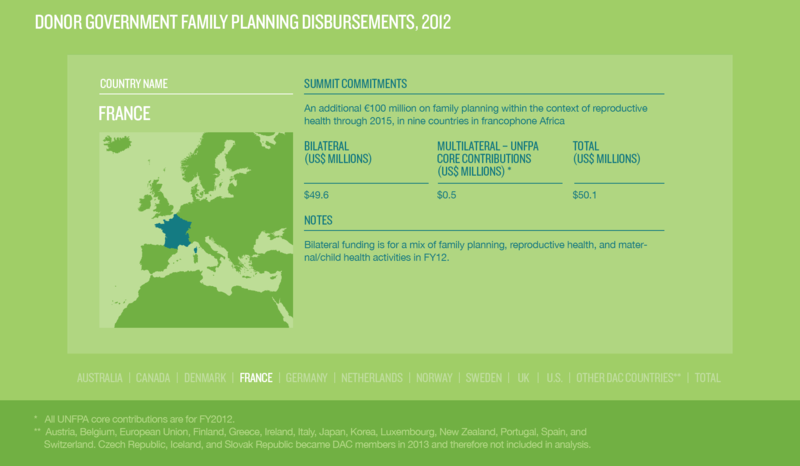 The FP2020 tracking methodology will be improved to include, as far as possible, standard definition of family planning expenditures, consistent data sources, and common reporting periods. See page 90 of the full report. Download now. 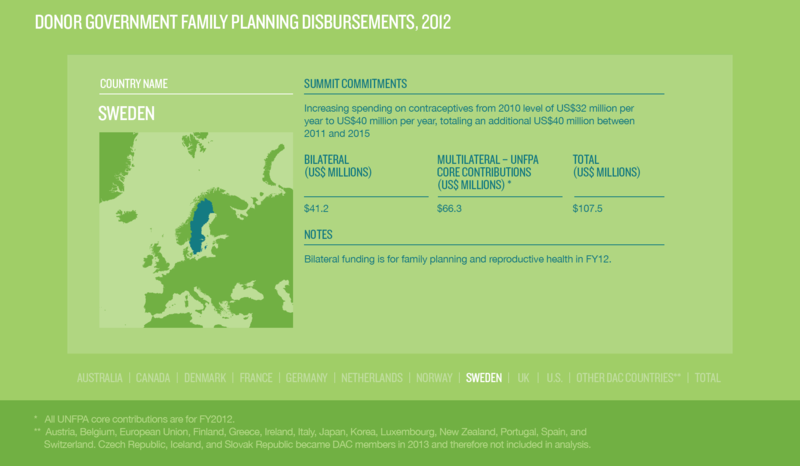 At the London Summit on Family Planning, UNFPA committed to increasing the proportion of its resources focused on family planning from 25% to 40%, based on funding levels at that time. 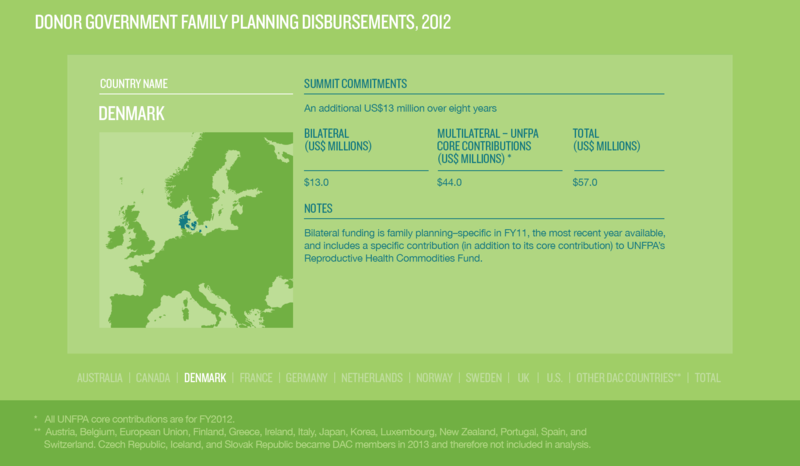 It calculates that this will bring new funding for family planning of at least US$174 million per year from 2013 to 2019. 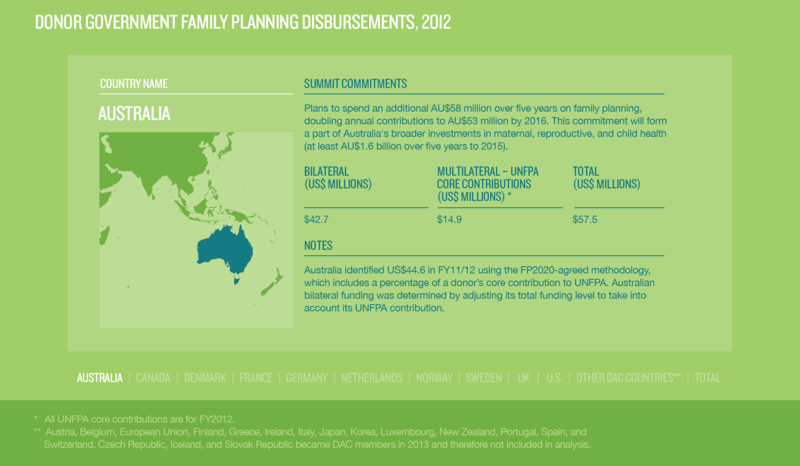 In 2012, UNFPA spent approximately 40% of its total resources on family planning (~US$272 million) and approximately 70% on sexual and reproductive health (~US$470 million). 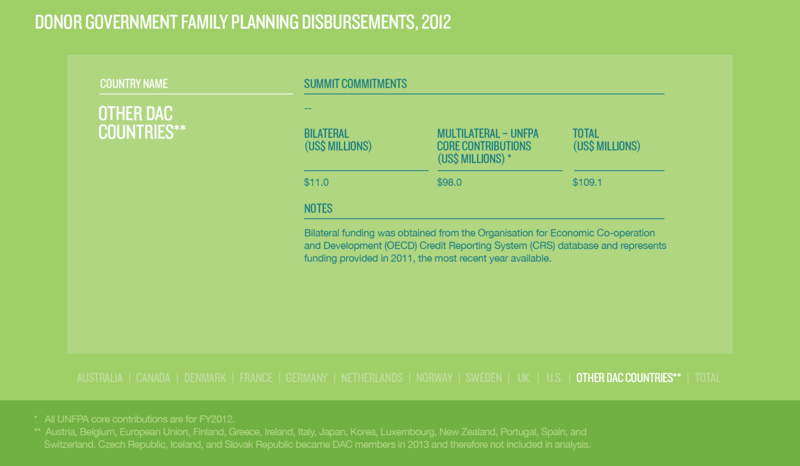 Tracking donor expenditures is critical to accountability, yet current financial tracking mechanisms are limited in their ability to provide real-time information specific to family planning assistance and do not fully account for all resource flows. 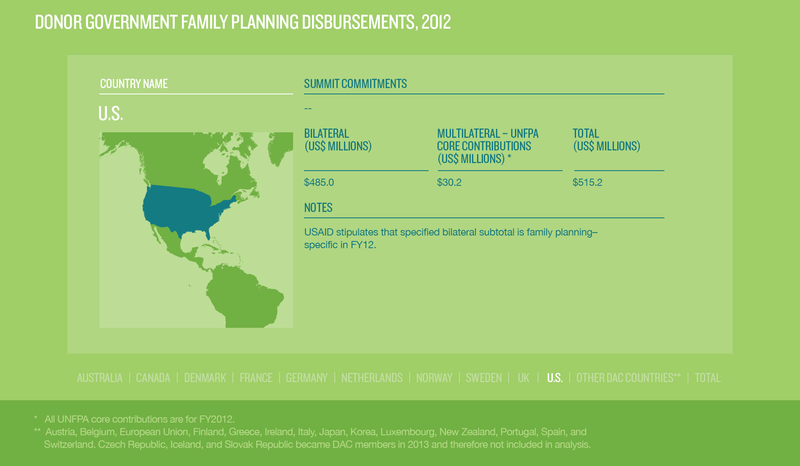 Beginning in 2014, the Kaiser Family Foundation (KFF) will report annually on global family planning disbursements from all public and private sources. KFF will adapt the comprehensive methodology it uses to monitor global spending on HIV/AIDS to measure family planning financing. 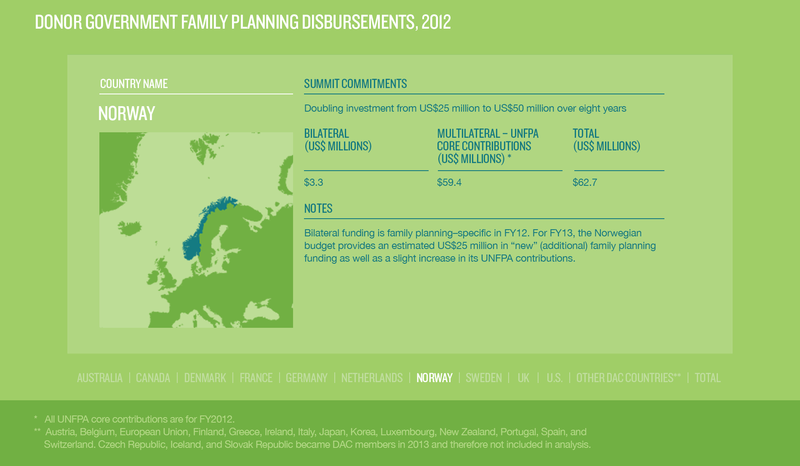 This year, KFF began to track donor government disbursements for family planning in an effort to establish the baselines necessary to monitor progress toward meeting FP2020 financial commitments. 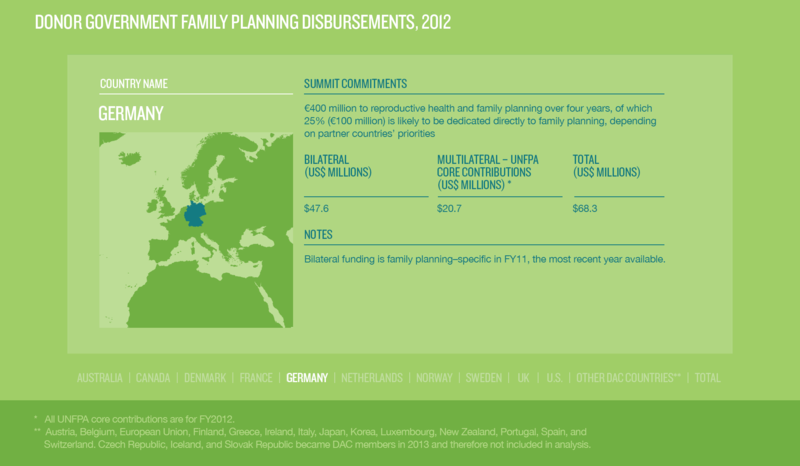 While support from all sectors is critical to meeting our goal, donor governments provide a significant share of global funding for family planning services. 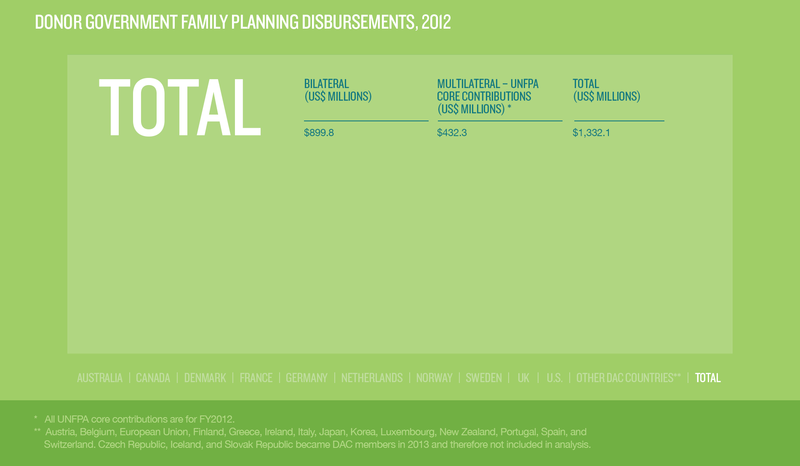 Preliminary data from KFF’s research indicate donor government disbursements forfamily planning increased in 2013.